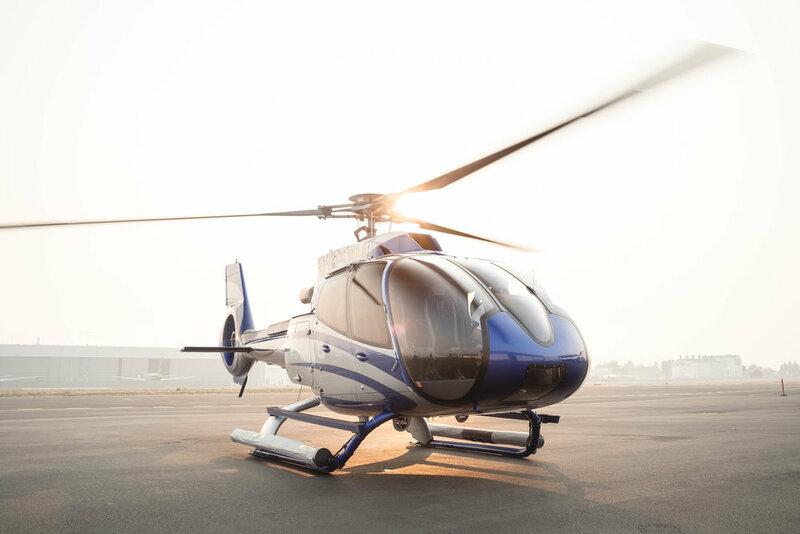 Come step into a helicopter and out of the chaos of city life. Relax as you cruise above our beautiful city and enjoy the spectacular views of urban life, sustaining waterways, majestic mountains, and picturesque valleys. Building memories and friendships, one flight at a time. Call 206-762-3245 to schedule your flight. Soar over the Skagit Valley in a helicopter on our Tulip Tour and enjoy beautiful views of over 300 acres of Tulips in bloom. Avoid the crowds this festival season and see the Tulips from a bird's eye view. Experience Seattle from a whole new perspective. Our City tour will fly you around the Seattle skyline where you can soak in signature landmarks such the University of Washington’s Husky Stadium, the Fremont bridge, the Ballard Locks, the Space Needle, the downtown Seattle waterfront, T-Mobile Park, CenturyLink Field, and the Starbucks headquarters. Come experience the breathtaking views of Snoqualmie Falls. The 268ft waterfalls are just a short flight away from the heart of Seattle. The return flight includes flight over downtown Bellevue, the 520 floating bridge, Husky Stadium, Fremont bridge, Ballard Locks, the Space Needle, the waterfront, T-Mobile Park and CenturyLink Fields and the Starbucks headquarters. The Lake Washington tour includes a flight over Mercer Island, Downtown Bellevue, the I-90 and 520 floating bridges, before joining in on the City Tour Route of flying over the Husky Stadium, Fremont bridge, Ballard Locks, Space Needle, downtown Seattle waterfront, T-Mobile Park and CenturyLink Fields and the Starbucks headquarters. The Mountain Tour includes a flight along the Cascade mountain range, where you can immerse yourself in a wonderland of forests, alpine meadows, glacial rivers and waterfall before returning back to fly over downtown Seattle. Want to see more of the Pacific Northwest? Perhaps a custom helicopter charter is the answer. You decide where to go and for how long and our team will curate the perfect flight for you. We are open 7 days a week from 10 AM-6 PM, any flight that operates outside those hours a $50 After Hours surcharge applies. We require a $50+pre tax deposit to hold your reservation. Your deposit is nonrefundable except in the case of inclement weather.